Political prisoners Atena Daemi and Golrokh Ibrahimi Iraee were brutally beaten up and subsequently transferred to the Qarchak Prison in Varamin, on Wednesday, January 24, 2018. The inhuman practice came in the wake of a fabricated case just recently filed against the two prisoners for which they had been summoned to the Directorate for the Implementation of Sentences. They were subsequently taken for interrogation to the IRGC Ward 2A of Evin Prison. The two brave women refused to be interrogated separately and demanded to see their transfer warrant. This is when they were badly beaten up and wounded. They were subsequently transferred at night to Qarchak Prison for women in Varamin on the order of Haji Moradi, one of the henchmen who serves as assistant judge in Evin Prison. Atena Daemi, 29, is an activist defending human rights and children’s rights. She has been sentenced to seven years in prison on charges of “propaganda against the state, association and collusion against national security” and insulting Ali Khamanei, the mullahs’ supreme leader. Golrokh Ibrahimi Iraee is also a human rights activist sentenced to six years in jail on charges of “insulting the sanctities” and the mullahs’ supreme leader, Ali Khamenei. Qarchak Prison in Varamin is notorious for its deplorable conditions and the clerical regime transfers political prisoners there in total disregard for the principle of classification of crimes. The brutal treatment of Atena Daemi and Golrokh Iraee comes in reaction to their declared support for the Iranian people’s uprising and is an attempt to scare Iran’s courageous women, especially the young high school and university students, who played a significant role in the Iranian people’s nationwide uprising. 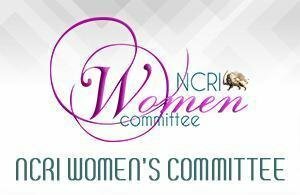 The Women’s Committee of the National Council of Resistance of Iran strongly condemns the clerical regime’s savagery towards women political prisoners. It calls on relevant international authorities, the UN High Commissioner for Human Rights, the UN Special Rapporteur on the situation of human rights in Iran, the Working Group on Arbitrary Arrests, the Rapporteur on Torture, and all advocates of women’s rights to take urgent action to address the situation of political prisoners in Iran and particularly these two women, demanding their unconditional release from prison.